While I was checking up on the quality of some of the restaurants which I love, I come across this really interesting review (in TripAdvisor). I love checking out reviews from TripAdvisor as it is usually very helpful and accurate. Not to mention, it is quite up to date. Since a person’s taste is very subjective, I will usually just scan thru and not make a big fuss as I believe everyone is entitle to their comments. However, I just couldn’t let go of this comment made below by a guy from Los Angeles, California this round. Unfortunately, I have never ordered fish soup in this particular restaurant. So, I am not sure how ‘bad’ is bad. But, what caught my attention was him describing it as ‘brown watery mess with no fish’. If he were to say that the soup tasted bad with foul rotting stench / too watery and etc, I would have let the comment slide. When I read this, I literally laughed out loud. 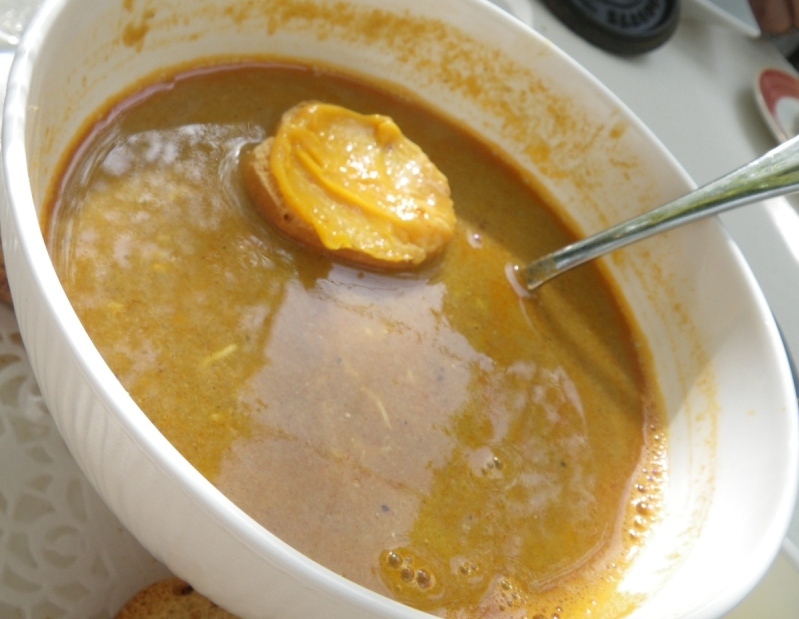 IF he would have check up on fish soup / Soup de Poisson for the french, he will realised that it is meant to be brown watery mess. AND, most of the time, the fish meat is blended into watery mess. This is fish soup for the french. I hate to imagine what this guy would say if he try Durian (King of fruit). I feel very sad whenever I read comments like this. Why bother traveling to another country if you think all food is suppose to conform to your perception of food? imagine how boring the whole world will be? I am always fascinated by the diverse food enjoy by different culture in the world. Personally, I think if you don’t feel comfortable taking it. You can always put it one side and find out more about that particular dish later. It is not fair to make non-responsible comments like this.